With vast knowledge in internal medicine, Anand Balasubramanian has achieved professional success as a physician through his own practice, Houston North West Primary Care. 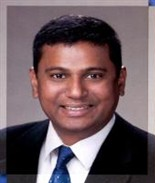 Dr. Balasubramanian is extremely passionate about helping people. He and his team at HNW Primary Care take pride in providing families compassionate, high-quality care. His practice offers a multitude of health care services pertaining to internal medicine and primary care. Dr. Balasubramanian holds an MD from Thanjavur Medical College, which he received in 1992. Since entering the field, he has become an active member of his industry, as he maintains affiliations with the American College of Physicians and the Harris County Medical Society. Throughout the course of his notable career, Dr. Balasubramanian has been recognized for his hard work and many accomplishments. He was inducted into the Worldwide Registry in 2014 and was honored by Search the Elite in 2014 and 2015. In the years to come, Dr. Balasubramanian intends to maintain his level of professional excellence by continuing to work within his community and develop relationships with the elderly population.